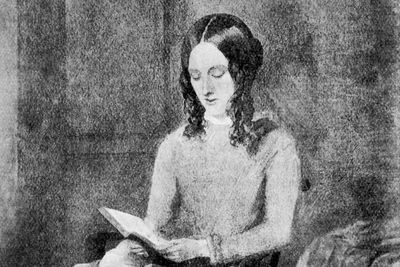 While most people are aware that Anne Bronte was a novelist, her work as a poet is not as familiar to them. It is clear that she was a very talented writer and literary experts consider that she would have been considered one of the greatest if she had just lived longer and had more opportunity to showcase her talents. However, this was not the case. The first foray into the literary world by the Bronte sisters was a book of poetry that they paid to have published themselves. In the first year, it only sold two copies. Anne was very close to her sister Emily and for a number of years they worked on creating a fictional world known as Gondal. They wrote both prose and poetry around this fictional world but there are only a few of the poems that have survived. These are available for people to read online today although it is worth searching under Emily’s name too as some have been attributed solely to her. It is believed that for a time Anne attracted the attentions of her father’s curate, William Weightman. However, it is not clear that Anne was the only object of his affection and she did not appear to encourage him at all although some people did believe that she had strong feelings for him and this is based on a number of poems that she had written. These were written after he had died in 1842. She published ‘A Reminiscence’ in 1844 and ‘Severed and Gone’ in 1847. These are about the death of a loved one and they could be considered to be autobiographical although this is conjecture. There have been moves in recent years to encourage more people to see Anne as the literary talent that she undoubtedly was and her poetry is studied by students as well as her novels.